Thank you to the volunteers and homeowners who worked together on Saturday, March 2nd, 2013 to make our first Neighborhood Citrus Collection Day a great success! 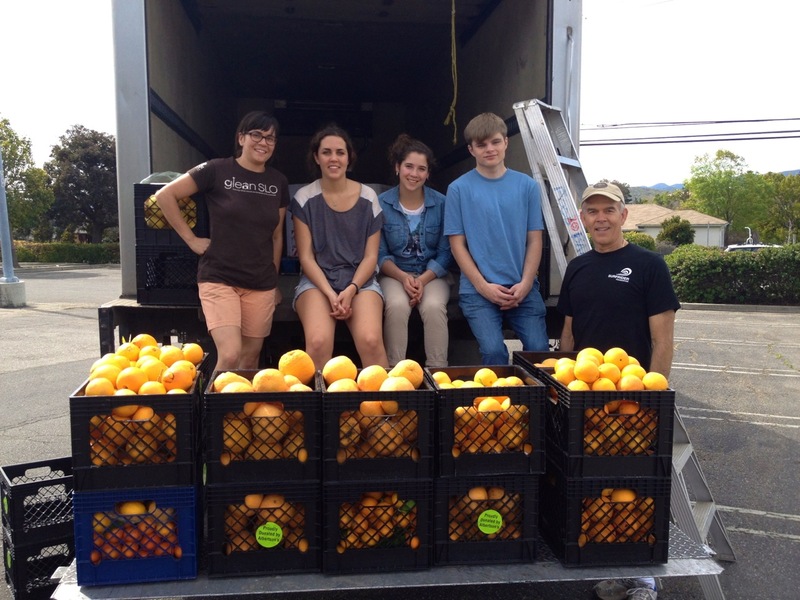 We collected 1,463 pounds of beautiful citrus! Pictured here is Jeanine Lacore, GleanSLO Coordinator, on the far left, with a group of Cal Poly students from SUSTAIN SLO who are working with us this year, and GleanSLO volunteer Chuck Asmus on the far right. Thanks to everyone who made this day a great success! This entry was posted in Produce Collection on 03/15/2013 by gleanslo.